Lost in the incredibly gripping stories emerging from Egypt in recent weeks has been any discussion of links between the Egyptian and Tunisian revolutions. This lack of analysis also marginalizes discussion of which countries – in North Africa and elsewhere – might be next. We’ll see where the revolutionary baton will be taken up next. The great danger here is that these uprisings for democracy will go the way of those that came at the end of the Cold War in Latin America, Africa, Eastern Europe and elsewhere: popular revolts will lead to the establishment of formal democracy, but in tandem with augmented neo-liberal economic policies. If this is the result of the present uprisings, there will truly be reasons for bitterness. But it’s better not to indulge such gloomy thoughts. For now, the people of Tunisia and Egypt and their supporters all around the world have just cause for feeling triumphant. Commodity prices are sky high for the third time in as many years. While the resulting high prices for food may not be particularly apparent to most Americans, in the global South, this inflation of commodity prices is a life and death issue. 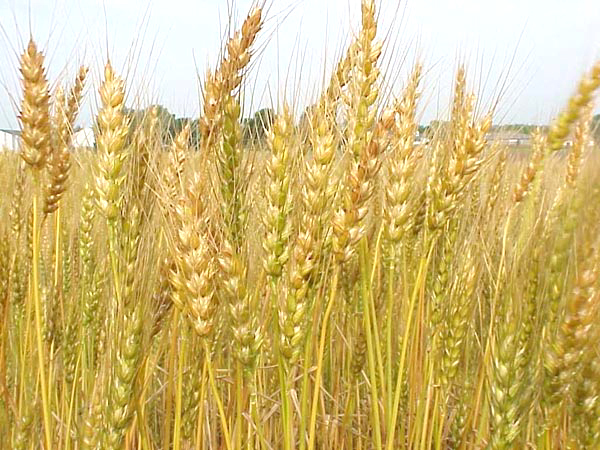 There are many reasons for the recent rise in food prices. Speculation by unscrupulous financiers is one of the more unseemly ones. However, the most significant cause of the high prices is the extreme forms of weather over the last year. There’s little mention of this in mainstream news sources, but Paul Krugman recently wrote a very brave editorial that acknowledges the link between high food prices and climate change. In a throw away line, Krugman links high food prices to the revolutionary movements sweeping North Africa at the moment. Surprising to find such a frank admission of the role of food riots in making broader social transformations. Given the unsustainable nature of our current global food system, we’re likely to see far more political instability and uprising in the future. The New York Times reports today that the Obama administration and leading European nations are backing the plan laid out by the newly appointed Egyptian VP, former head of security services and torture maven, for a “gradual transition.” As even the Times admits, this means a betrayal of the demands of the protesters for democracy. When the chips are down, it seems that the U.S. picks “stability” over democracy every time. Shame, shame on this country! 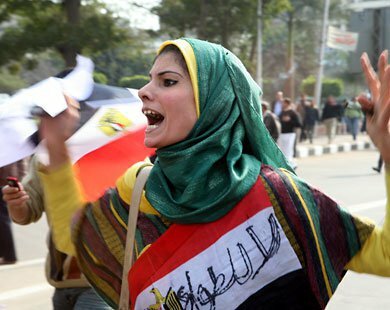 The unfolding Egyptian revolution is anarchic. 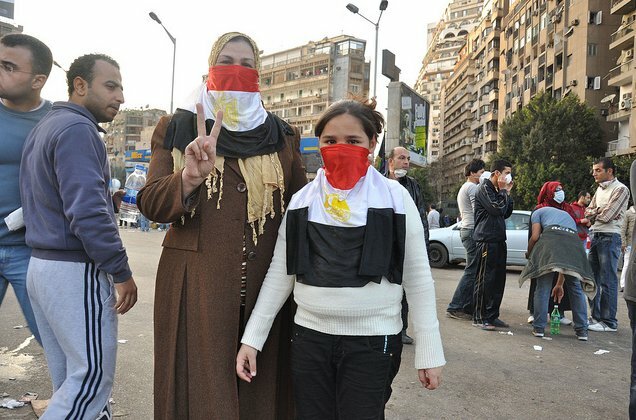 Represented in the Western media as recently as last Saturday as a chaotic uprising with menacing bands of roving looters and criminals (anarchy in the pejorative sense), the Egyptian revolution is largely self-organized by the popular masses. Not only have the large crowds gathering in Tahrir (Liberation) Square in the heart of Cairo been peaceful despite being assembled spontaneously and without any coordinated direction by a particular political party or leader. In addition, neighborhood watch groups formed throughout Cairo and other Egyptian cities to maintain law and order over the weekend after the dreaded security police – minions of the Mubarak regime – withdrew from the streets following Friday’s dramatic confrontation between police and masses of people in Cairo. For a very thoughtful discussion of the national-popular and the current wave of uprisings in the Arab world, see this interview with historian Vijay Prashad. The bankruptcy of U.S. policies of supporting autocratic Arab regimes in the name of fighting Islamism is now apparent for everyone to behold. 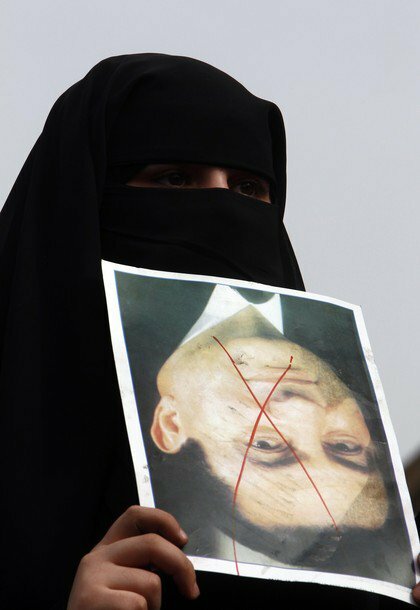 Mubarak is not the first dictator to be driven out of office in the Maghreb, and will probably not be the last. This is an Arab revolution many decades in the making. The main question now is what will come after the revolution. Will the self-organizing forces that made the Egyptian and Tunisian revolutions be contained or co-opted? Or will genuinely new forms of egalitarian social and economic structures be assembled? The history of the IMF-uprisings chronicled in John Walton and David Seddon’s Free Markets and Food Riots is instructive here. Back in the late 1980s and early 1990s, in response to austerity policies imposed by the International Monetary Fund, popular uprisings exploded around the world, often sparked by precisely the same issues that lie behind current demonstrations: revulsion against authoritarian rule and anger over spiraling food prices. In those cases, political reform did not lead to significant economic reform. Precisely the opposite: newly installed democratic regimes implemented the most draconian austerity packages advanced by the IMF and World Bank. Let’s hope we don’t witness a replay of that history. Surely the great difference between that period – the triumphant inauguration of the post-Cold War Washington Consensus – and the present, when the intellectual and practical bankruptcy of neoliberalism is plainly evident to everyone, surely this difference should spell a very different and more positive denouement. I have been watching recent events in Egypt avidly from afar this weekend for both their tragic death toll and their incredibly exciting potential to end the autocratic regime of Hosni Mubarak. 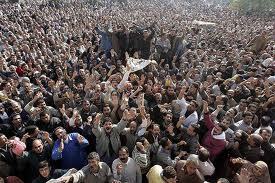 The fall of the Egyptian dictator would no doubt resonate widely within the Arab world and beyond. Indeed, it’s interesting to note that the Chinese regime has blocked all references to Egypt on Twitter. This attempt to cut off the revolutionary rumblings that social media such as Twitter and Facebook can transmit clearly reflects the importance of these new forms of mass communication. For a variety of different perspectives on this topic, it’s worth looking back at the Social Text dossier on social media and the Iranian uprising in 2009. You can find it here.